Water Dripping on Your Feet? Cowl Leaks? 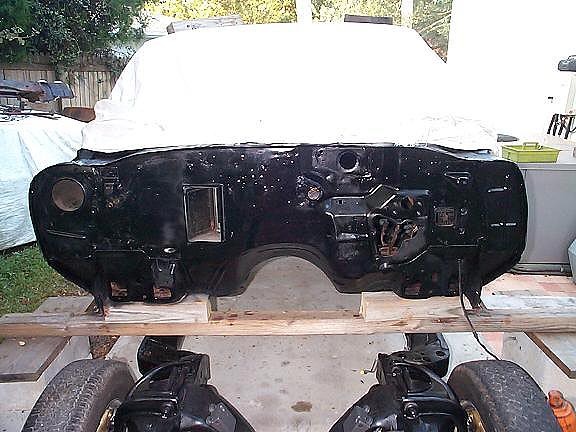 Here is the cowl from a 70 GS455 convertible. Original "brushable" seam sealer has dry rotted and started to fall apart. 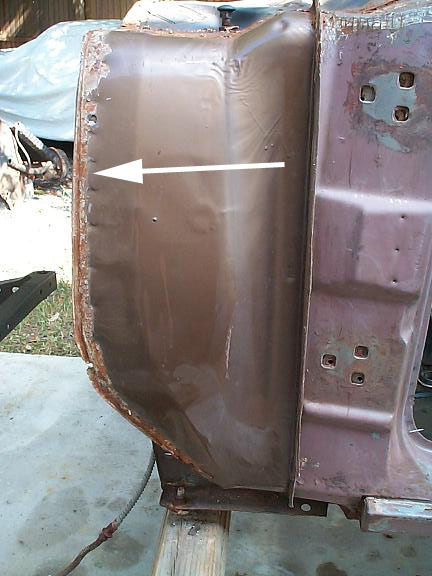 Use a small putty knife to remove all loose material as can been seen here. 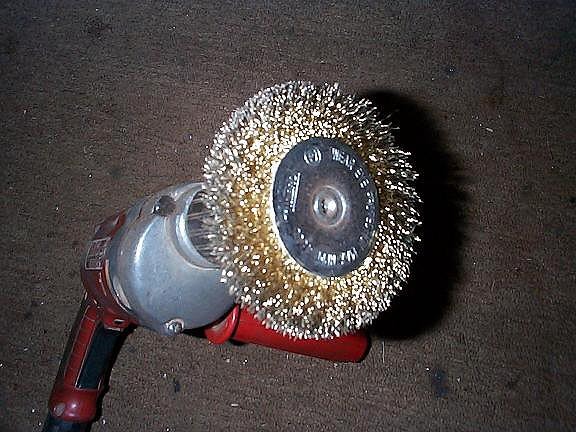 I like to use a stiff wire wheel brush on a drill motor to remove remaining seam sealer. Black arrow indicates the area that is prone to leaks. This lets water trickle in and usually drips from the brake pedal or just below the steering column. Here is another seam that requires cleaning. 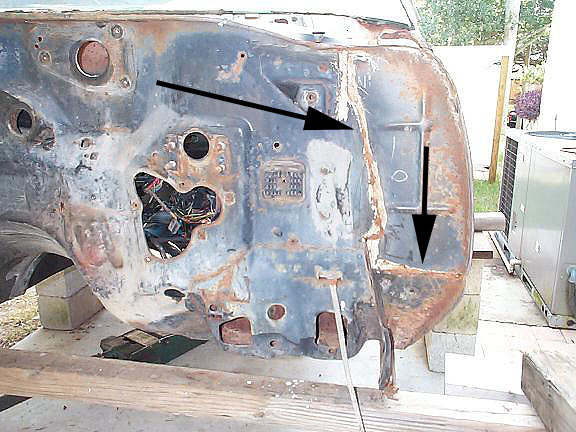 More seams(indicated by arrows) that need to be cleaned. 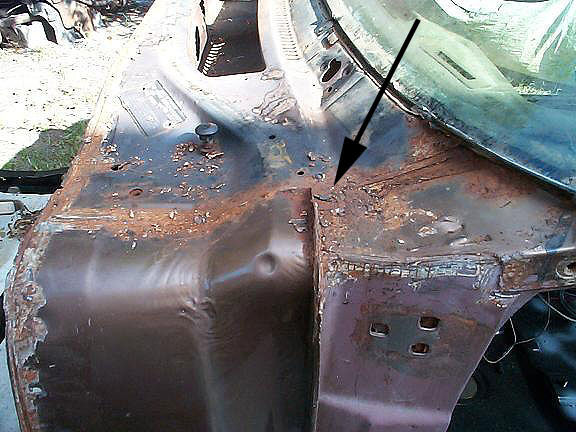 Also notice in this picture the surface rust. Use the wire wheel brush in a drill motor to clean this in preparation for phosphoric acid application. Another seam that needs to be cleaned, on both sides. 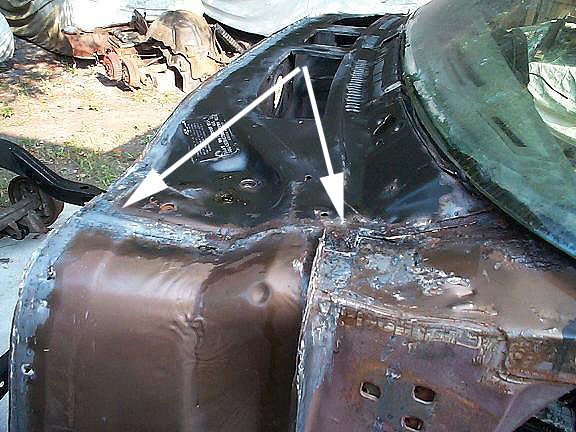 After all seams are cleaned, use phosphoric acid to treat the rusted areas. 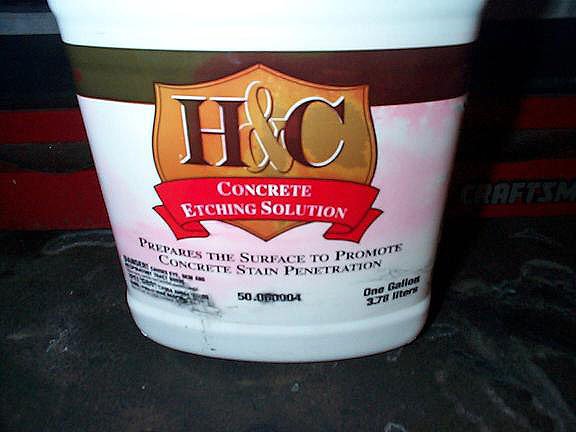 H&C and Behr are both carried at Home Depot and cost about $12-15/gallon. After the phosphoric acid is cured, usually 1 day. 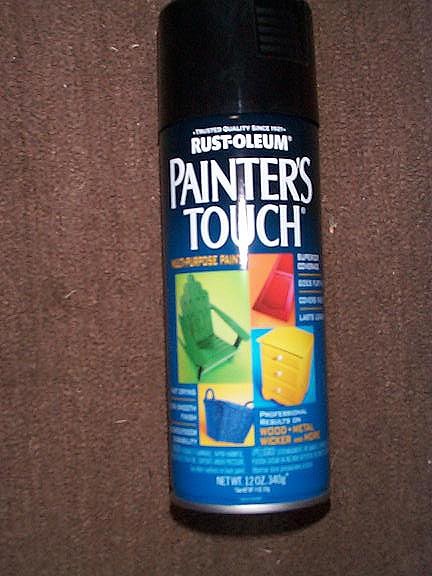 Use a small hand held wire brush to remove any chalky residue which is common when phosphoric acid reacts with rusty metal. Lower pic shows some residue from the chemical reaction that needs to be cleaned before painting. Residue can appear as a chalky white substance or a black ash substance. 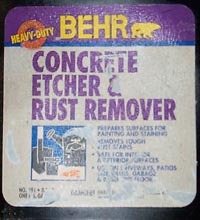 Easily removed with a handheld wire brush. Wipe areas to be caulked with RM 900 Pre-Kleano or DuPont Prep-Sol 3919S or Lacquer Thinner (available at Home Depot) to remove any residue. You can use the original brushable seam sealer which is white to duplicate the original factory application. 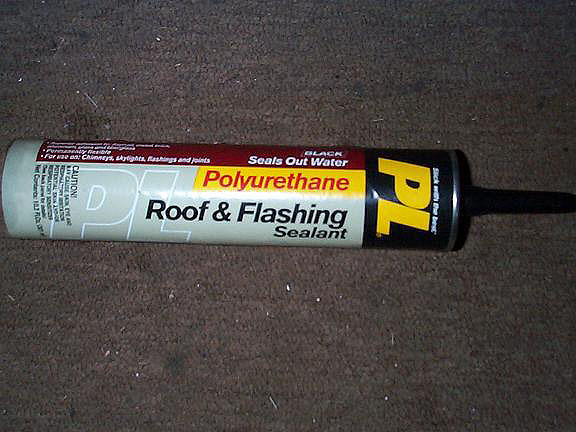 I use the Roof and Flashing Sealant available from Home Depot (costs about $4/tube) since it is more elastic and does not become brittle like the brushable sealer. Also, it is black so paint covers it well and does not show thru as would white brushable sealer. Here is another section that needs attention. This is the area coverd by the kickpanel. 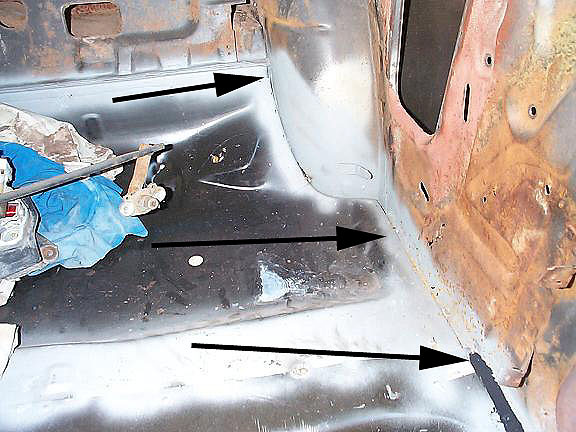 Lower arrow indicates where old seam sealer was removed since the floor pan had to be replaced. Rest of seam will be filled using polyurethane sealer to slightly above upper arrow. This is the rear side panel in the convertible. Lower arrow shows where caulking stopped because I ran out of caulking. 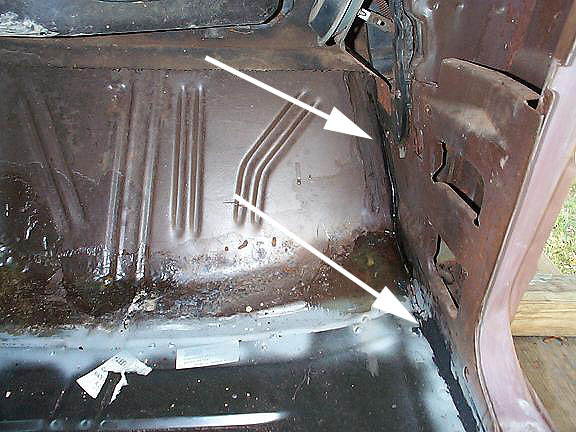 Floor pan was replaced in this car along with pan under back seat bottom cushion. 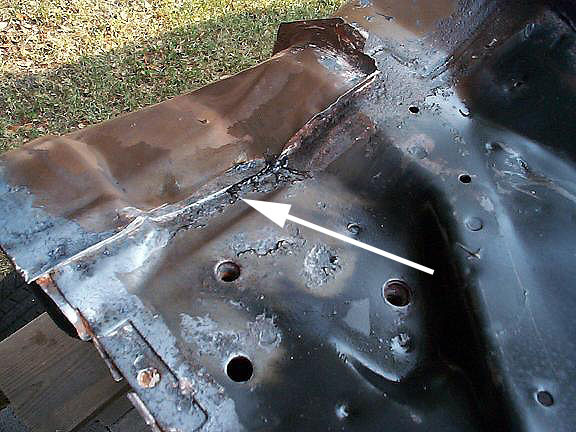 Caulking will continue to rear inner wheel well housing and to upper arrow. After upper arrow, will continue into top well and then into trunk area to seal inner wheel house to trunk pan. Make sure you use rubber/latex/nitrile gloves to prevent sealent from sticking to your fingers. Use Mineral Spirits to clean any accidents or tools. 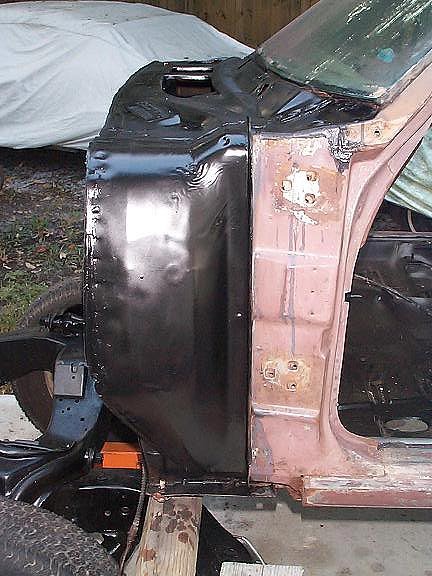 This is the paint I get from Home Depot, Semi-Gloss black for the cowl, engine brackets, etc. Cowl is now cleaned, sealed and painted. Side of cowl in above pic is painted black. Factory paint color (body color) is supposed to be there but since no one will see it, I paint the front half of the cowl black. Right side (hinge area) will be painted body color. 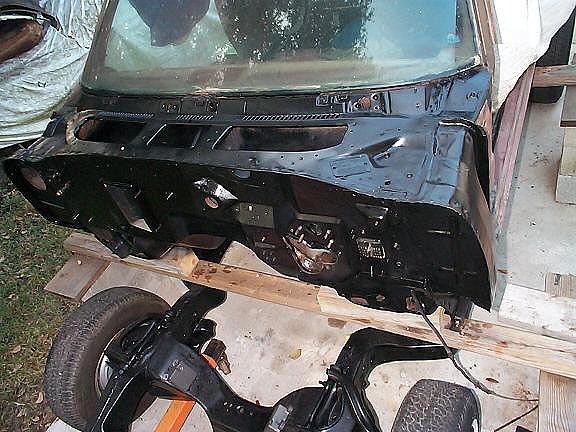 Expect to take about 2 hours (does not include fender and hood removal) to remove all old sealer, wire brush, phosphoric acid wash, caulk and paint the firewall. 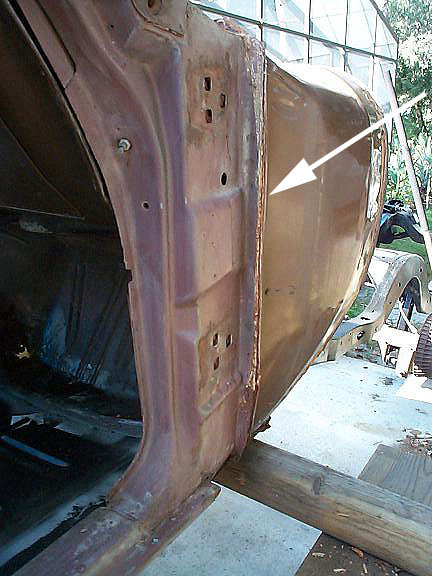 Fenders will have to be removed in order to do a proper job and ensure no future leaks. 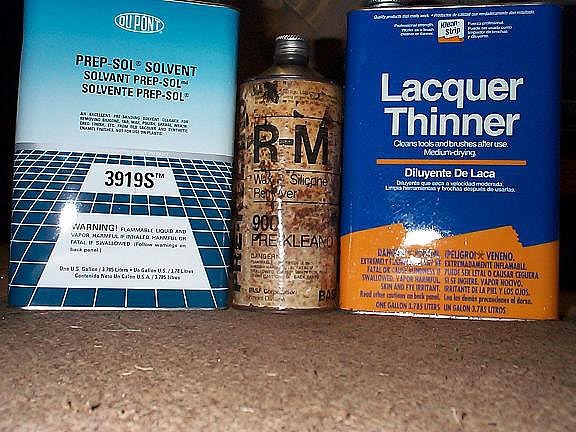 You can also use the Roof and Flashing sealer in other areas (floor pans, trunk pans, etc) where brushable sealer was used at the factory.